The shoreline of the state of Oregon is among the most rugged and beautiful on Earth. An altogether perfect setting for a love story that is at once romantic, inspiring, and enlightening, as well as traumatic, challenging, and transformative. “I could not stop reading, and the more I read, the more I could not stop crying. This book is such a wonderful gift to mankind. It is so inspiring, touching without being sentimental–clear, honouring truth and the highest traits in human beings, as well as the deepest reasons for our experiences. And it is written in such compelling, fresh language with so many unexpected pictures. But why take anyone else’s word for it. Listen to the author read the first short chapter of When Gulls Fly Low and judge for yourself. Click here to listen right now. Can’t wait to get started reading? Great! 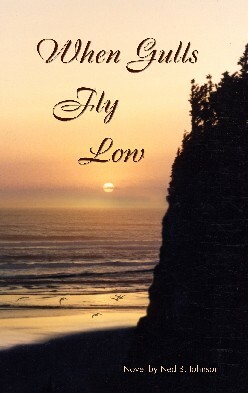 Another reader, Carrie Armitage, contributed these insights about When Gulls Fly Low. Henry Taylor, an accomplished author, moves his life to the picturesque village of Arch Cape on Oregon’s Northern Coast, to complete his fifth novel. Within days of settling in, his routine is interrupted by a dream of such lucidity it shakes him off balance for a week. In the dream he meets a woman with whom he is destined to live out a real life adventure of sublime love, forgiveness, faith & collaboration with the enemy ~ only he doesn’t know that yet. Perhaps there is more to it than meets the eye – a look into the world of lucid dreaming, destiny and how we all work together on the other side [of consciousness] to accomplish our dreams and learn what we need to learn here on earth. When Gulls Fly Low isn’t just a source of inspiration and insight, it is also a compelling story about love, adversity, courage, integrity, and transformation. Many people think of it as a real “page turner.” Here are the comments of a few of them. “I could hardly tear myself away. A good love story, but SO much more. I found it full of truth and beauty…a way for many to have the understanding that they are not victims.”– Carol M.
“Couldn’t stop reading it, and was living it when I wasn’t reading it…this speaks to the very soul.”– Marilyn L.
“I don’t recall the last time I was reading a book that I literally could not put down until completing it, until I got “When Gulls Fly Low”. This work is so well written, with a story that will have you turning each page, eager to see what the characters will experience next. The ending I expect will have you wiping tears of joy from your eyes as a result of it’s beauty, as I did mine. A treasure to read and re-read.”– David C.
To read more reader reviews, click here. When Gulls Fly Low now! So what are you waiting for? In less than five minutes you could be cuddling up with what some self-described “voracious readers” have called, “the best book I ever read!” Click on the link below and get started with what just may turn our to be the best Christmas you’ve ever had. P.S. If you would rather read more yourself before ordering, you can download the first half of the eBook by clicking here. P.P.P.S. I almost forgot to tell you, I’m also going to give you a free copy of Module 1 of my Millennium Book Series. So that’s two eBooks for the price of one. Click here to get the whole bundle! and let it begin with we.